To generate a list of created orders, use List Orders from the left menu in Tools > Costume Management. Any created order highlighted in Red in the Order Listing page may need attention. These orders may include costumes for students who have been dropped or transferred. Click the Order ID to view details. Using Tools > Costume Management, select Print Orders. In the list, choose Print PO to print an order. The printed order can be faxed or mailed to the vendor for processing. At this time, the PO is not editable, however, you may write in additional details (i.e. shipping method, tax, etc.). 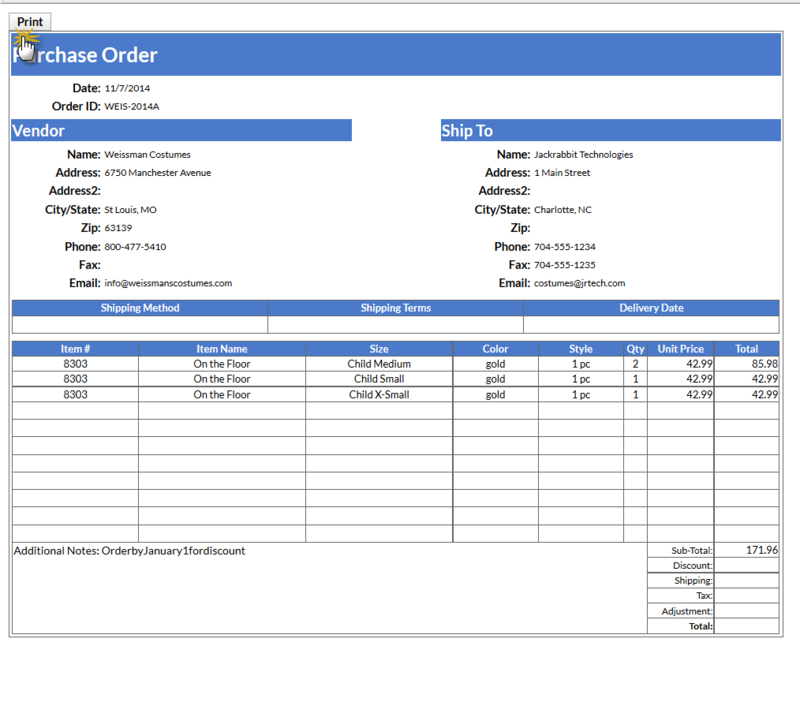 As a best practice, maintain the printed purchase order as a 'snapshot' of your order.